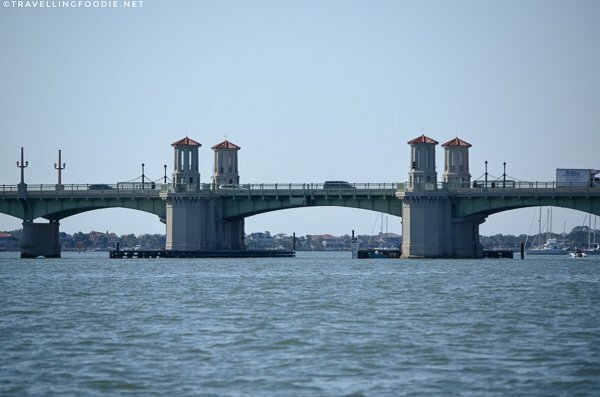 With being America’s oldest city along the beautiful coast and natural surroundings, St. Augustine, Florida definitely offers a lot of unique attractions and things to do. Did you know? St. Augustine is listed among the 33 Amazing U.S. Cities to Visit in 2018 by Time Inc. Dating back to 1565, Spanish-colonial architecture, historic sites and homes, and brick-paved streets are all over the city’s historic district where most attractions reside. But, the beauty doesn’t stop there. 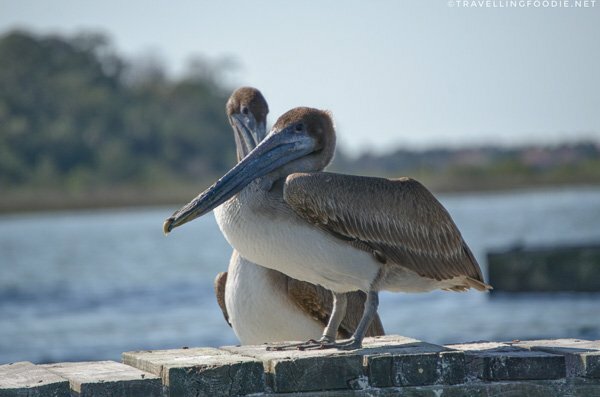 The Atlantic Ocean and the Intracoastal that surrounds Florida’s Historic Coast bring a beautiful backdrop of nature, water and wildlife to such a historic setting. 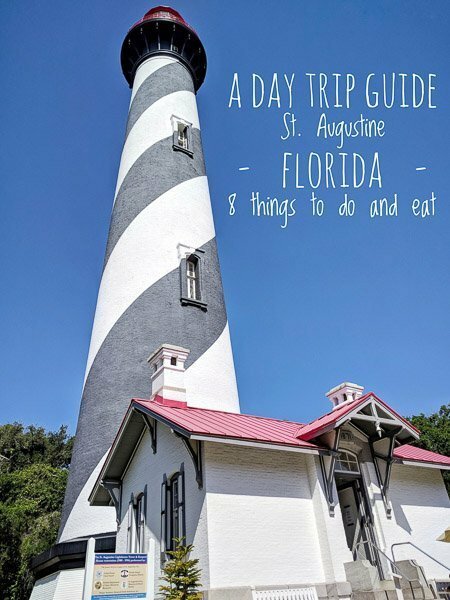 This itinerary will showcase some of the best restaurants and things to do in St. Augustine that makes it such a well-rounded destination for all-ages! Everything in the historic district is walkable, but you’ll need to drive to Anastasia Island for the other spots. 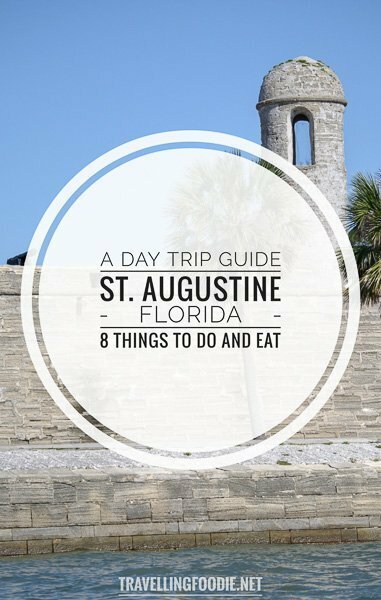 And, if you’re looking for more dining options for the itinerary, check out this guide on St. Augustine’s food scene. 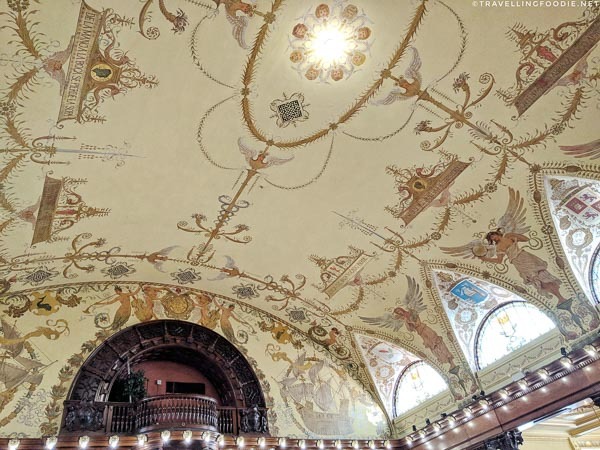 Head over to Flagler College at 10am for the Flagler Legacy Tour. If you walked around the historic district, you were probably intrigued why a college can look so beautiful. 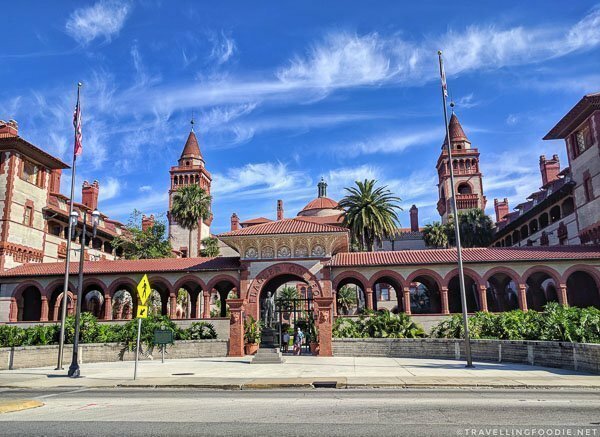 Flagler College used to be the Hotel Ponce de Leon, built by railroad and Standard Oil magnate Henry Flagler in 1888. Did you know? Ponce de Leon was the Spanish explorer that claimed Florida for Spain in 1513. The Hotel Ponce de Leon was one of the most exclusive resorts at that time. People wanting to stay here were required to book for the entire season at USD1000/night. Listed as a National Historic Landmark, this luxurious hotel with bullet proof Tiffany windows is considered one of the finest examples of Spanish Renaissance architecture. The hotel has the largest privately owned collection of Tiffany glass with 79 original Tiffany windows and 11 Tiffany chandeliers. 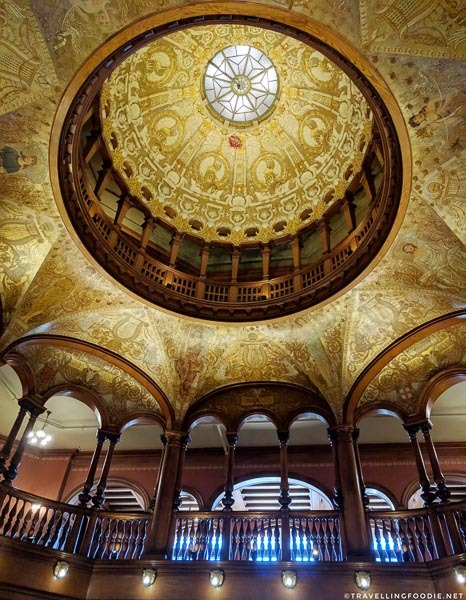 Though it’s free to walk the grounds and enter inside, I highly recommend the tour because you get to enter other parts of the college that are restricted to the regular public like the dining room and the Flagler Room, formerly the Women’s Grand Parlor. Did you know? 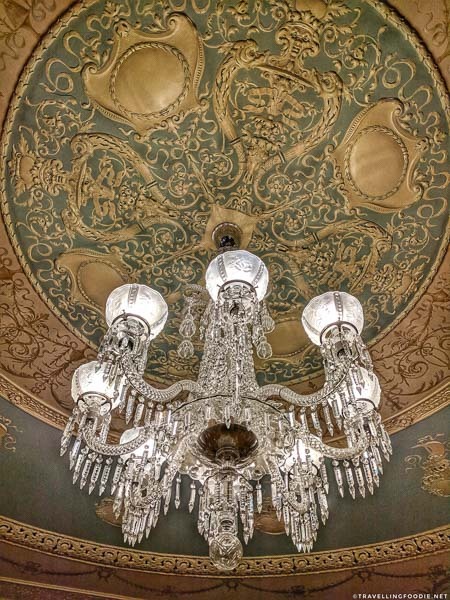 The chandelier in the middle of the dining room was removed by Flagler after it was deemed ugly by the guests. Our tour guide Maria, who is also a student at the college, was very knowledgeable and enthusiastic in sharing about the college’s history, architectural heritage and influences while also giving some perspective on what it’s like living there as a student. Did you know? The hotel is actually now used as the women’s dormitory for Flagler College. One very interesting to learn is that the hotel was built with four themes in mind: Spanish, nautical, lion and religion. This helps you be more aware on what you’re seeing during the tour. The fountain has 12 frogs around it (nautical theme). The tip of the fountain has lion heads (lion theme). Interestingly, the fountain is actually a sundial as well with each frog representing an hour. 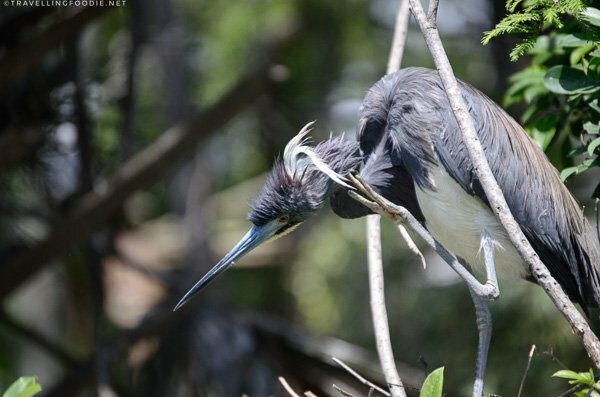 Right after the tour, head over to the City Marina for the 11am Dolphin, Birding and Nature Tour with St. Augustine Eco Tours. The tour ends around 12:30pm. 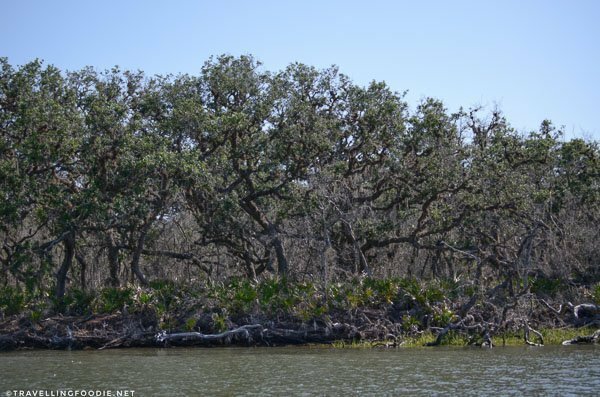 Founded as an educational resource, St. Augustine Eco Tours sets itself apart by incorporating on-water interpretive experiences in their boat tours. Aside from just taking the boats to see sights and wildlife, you also learn about environmental education, conservation, and wildlife and habitat protection. Did you know? All their guides are interpretive naturalists and USCG licensed captains. 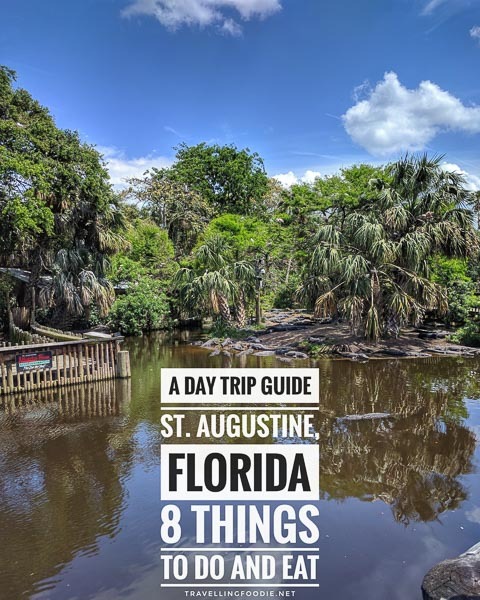 Our guide was Captain Zach McKenna, who was super knowledgeable not only about the waters and natural environment but also the history behind St. Augustine and its natural surroundings. He had answers to all my questions! 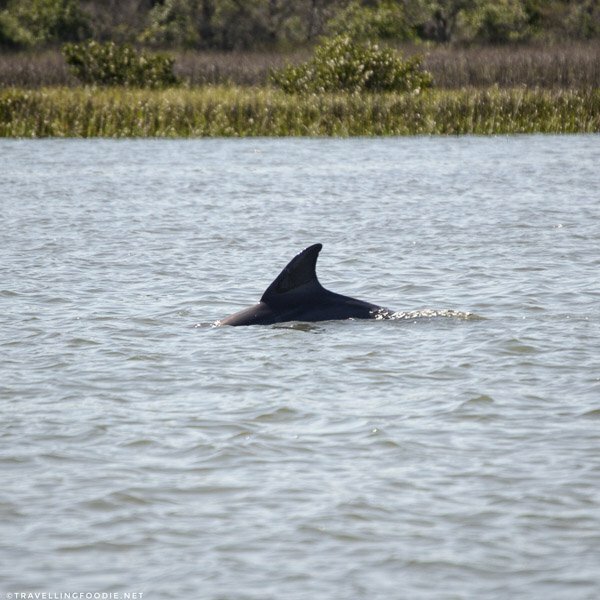 Because Captain Zach is so familiar with the waters in the area, he has an idea where it’s best to spot the dolphins, which we were able to do! He also has strong knowledge in ornithology (study of birds) with a keen eye for identifying them from a distance. We spotted some Eastern Brown Pelicans lounging around during our tour. 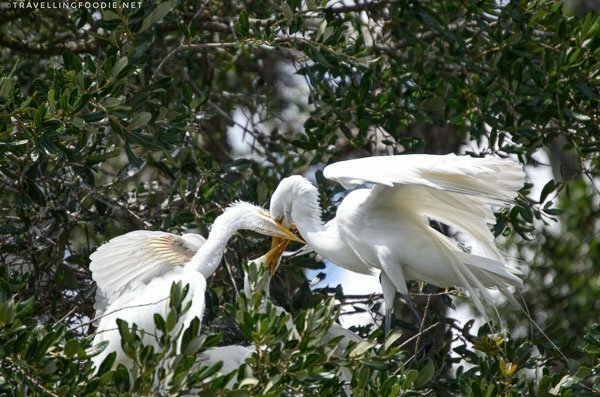 When we spotted some egrets, he noted how egrets were becoming extinct from being hunted for their plumage (feathers) for women’s feather hats. Luckily, Audubon societies helped save them from extinction. One thing I also enjoy about boat rides is being able to see sights in a different perspective. 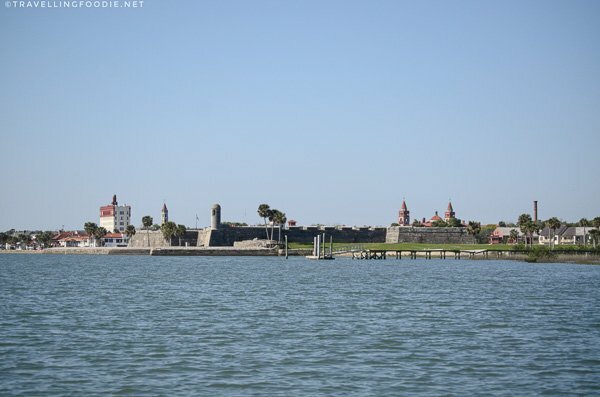 This is the case for Castillo de San Marcos which you can see completely – a view you can only see through a boat tour. As we passed closer to the fort, Zach explained that a lot of boat renters aren’t aware that they should slow down at this part of the river because the water is actually quite shallow. Driving fast can actually injure or kill animals under the water. Hearing this made me realize how important it is to learn these things because we may not be aware how our actions are actually affecting the marine ecosystem, even something as simple as the speed of the boat. 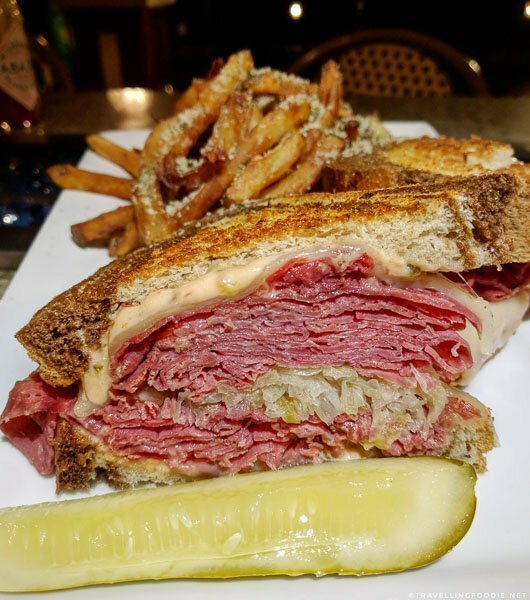 For lunch, head over to Meehan’s Irish Pub & Seafood House, which used to be the construction storage site during the building of the infamous Castillo de San Marcos. Did you know? The Meehan clan originates from the county Leitrim, Ireland. 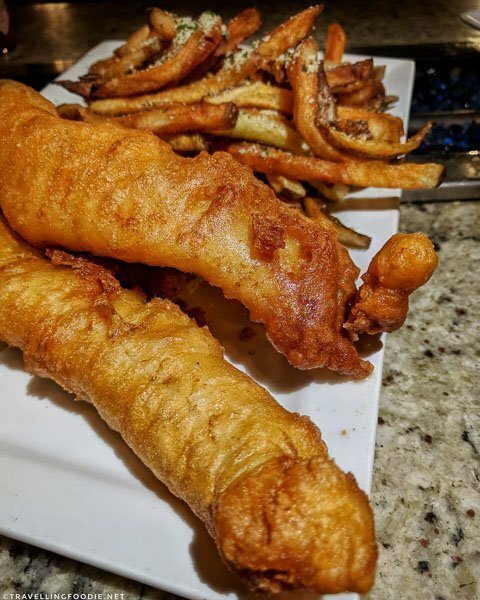 Enjoy waterfront views of the Matanzas while having some traditional Irish fare like some delicious Fish and Chips or Reuben Sandwich. And it’s 150 feet away from the next stop in the itinerary. After lunch, walk nearby to the oldest masonry fort in the US. 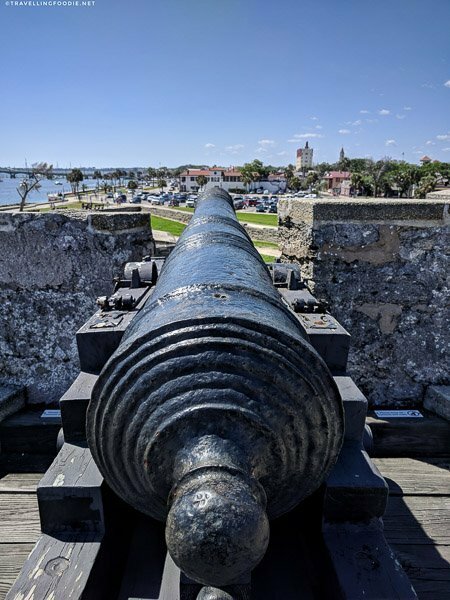 Completed by the Spanish in 1695, Castillo de San Marcos was built to protect St. Augustine and its treasure fleets from the British and pirates. Did you know? 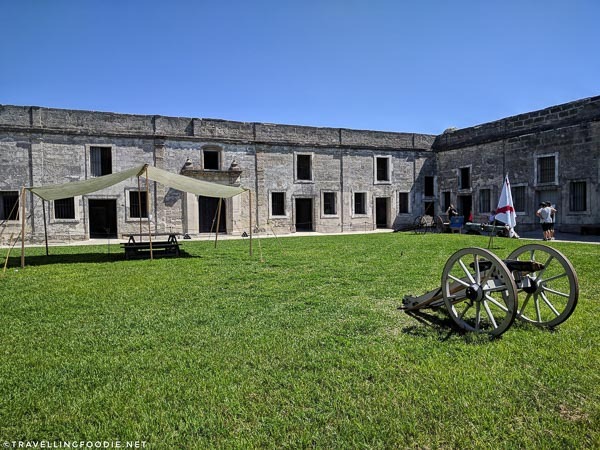 The fort was constructed with coquina, a locally sourced material that allows the fort to last for so long. Similar to the Halifax Citadel and Kingston’s Fort Henry, this national monument features a living history where park rangers and reenactors are dressed up in costume and sharing history and stories of daily life in the 17th century. Be sure to make it for the 1:30/2:30pm weapons demonstration. I got to witness the musket firing demonstration, which was pretty cool as they had five people do it instead of just one. There is also a cannon firing demonstration. 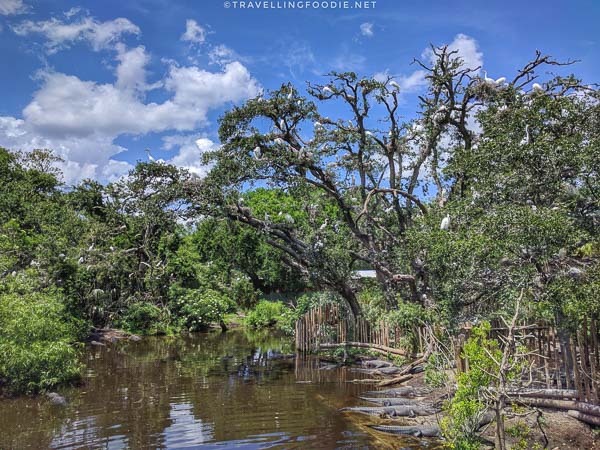 Next stop is St. Augustine Alligator Farm Zoological Park, the most popular attraction in the city with millions of visitors annually. Did you know? 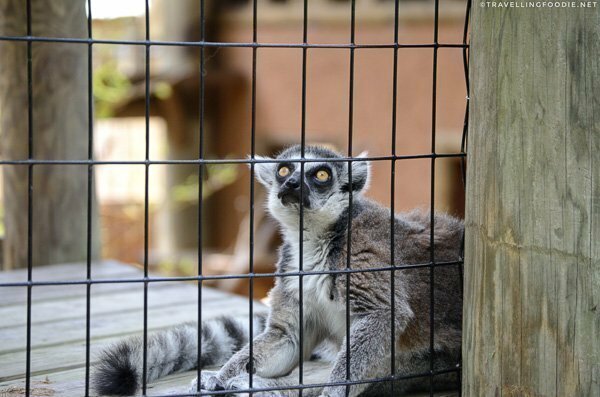 The park is one of the oldest zoos in the country having been founded in 1893. 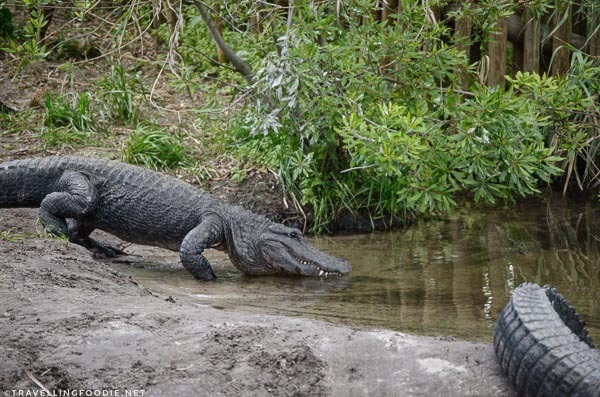 This is the only place in the world where you can see every living species of crocodilian: 24 species from various parts of the world like Africa, Australia, Asia and the Americas. 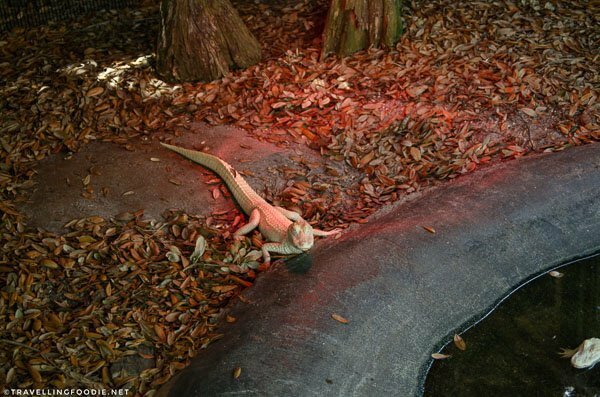 They even have rare Albino Alligators out of the bayous of Louisiana, and a giant crocodile from Australia called Maximo. White Alligators are said to bring good fortune to those who gaze upon them. 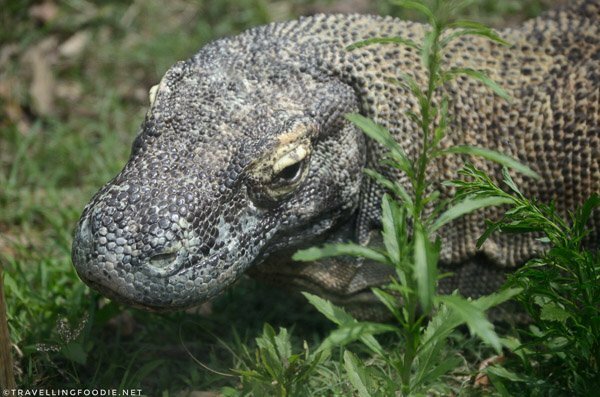 Komodo Dragon is carnivorous and the world’s largest living lizard. 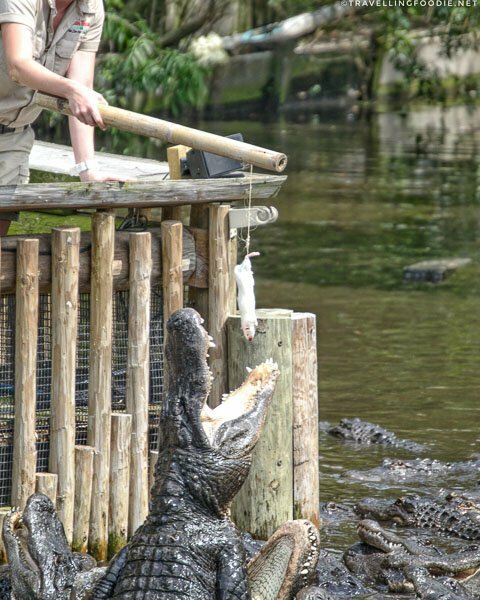 Be sure to catch the 3PM alligator feeding demonstration! This will be the best time to see some crazy action for photos! I found it very interesting when the alligators swarmed around the feeding area because they already knew it’s that time of day. 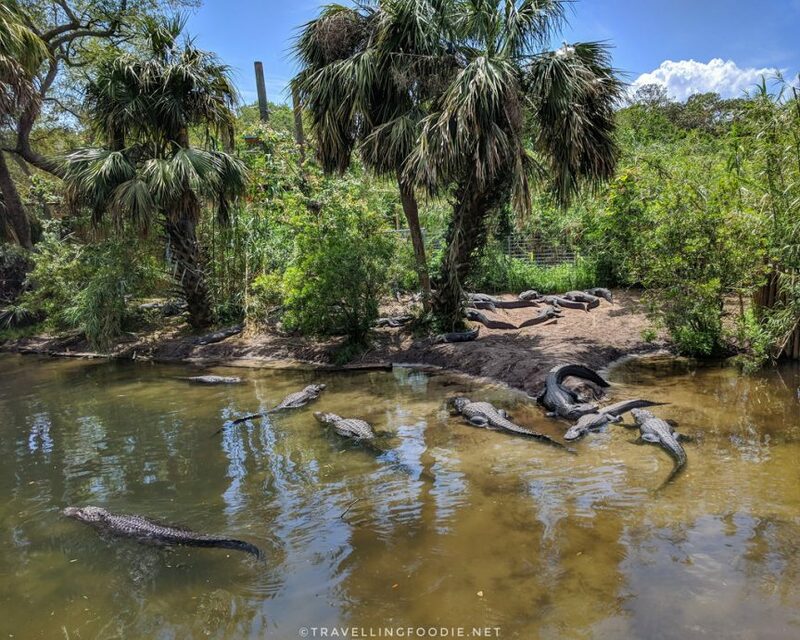 If you’re into adventure activities, the park offers two zip line courses that have you crossing seven acres with living alligators and crocodiles underneath you. 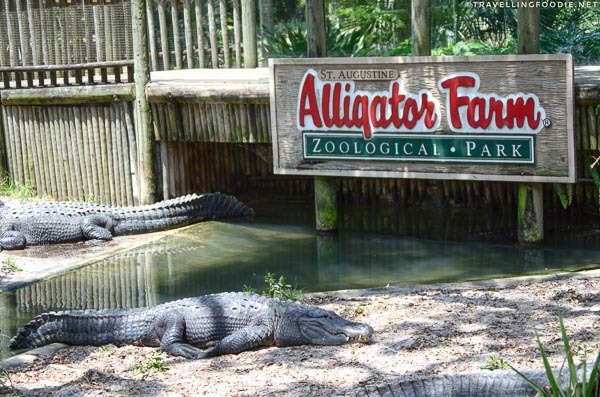 One misconception about this place is that you’ll only see crocodiles and alligators because it’s called Alligator Farm. 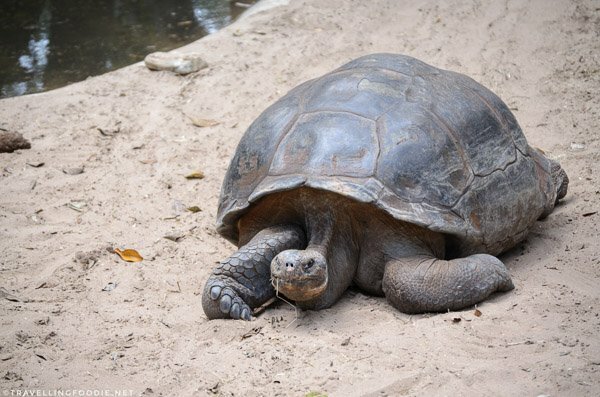 There are actually a lot of rare and exotic birds, mammals and reptiles to see here. 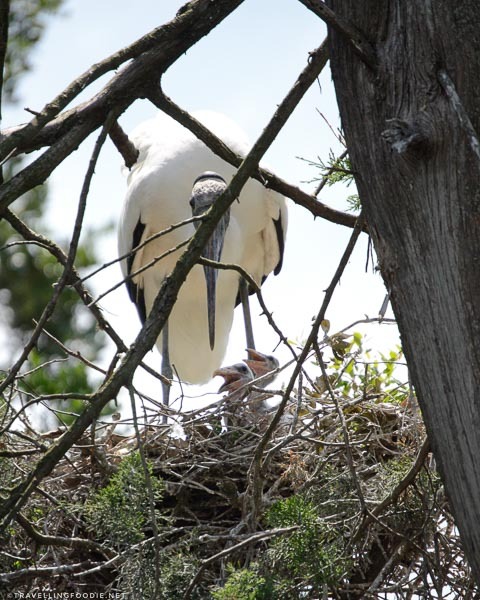 A great time to visit the St. Augustine Alligator Farm and Zoological Park is from March to June when thousands of coastal birds make the Rookery their home. Did you know? 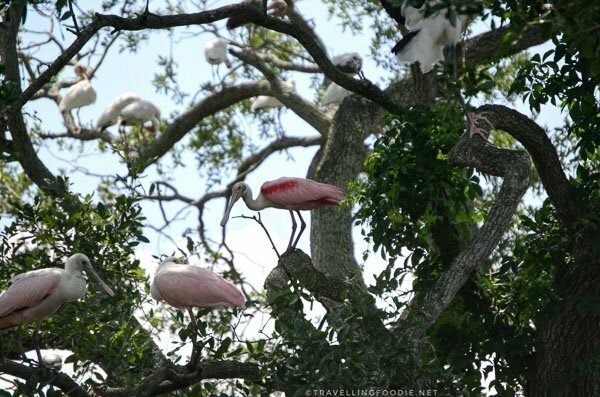 The Rookery is perfect for the birds because the alligators protect them from tree-climbing predators. One thing I loved about the native bird rookery is that birds in the rookery are completely wild, and free to come and go as they please. The park does not feed them or interact with them in any way. You’ll get amazing photo opportunities during this time because there are so many birds for you to capture the most beautiful and random moments. 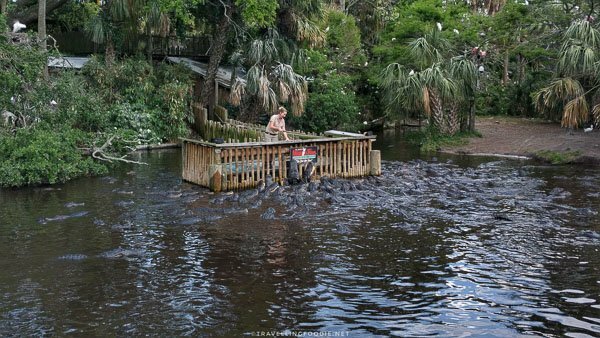 Watch the video to see what it’s like inside St. Augustine Alligator Farm Zoological Park, including the alligator feeding! 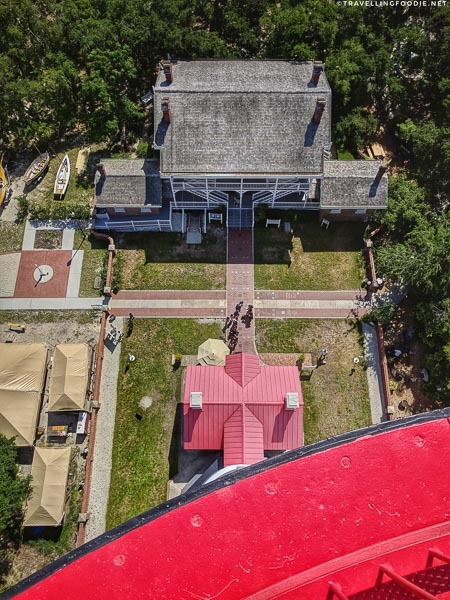 Head to the nearby St. Augustine Lighthouse and Maritime Museum, which closes at 6PM. At the oldest maritime port in the USA, the lighthouse is the oldest lighthouse in Florida built in 1874. Did you know? The St. Augustine Lighthouse is still an active working lighthouse. 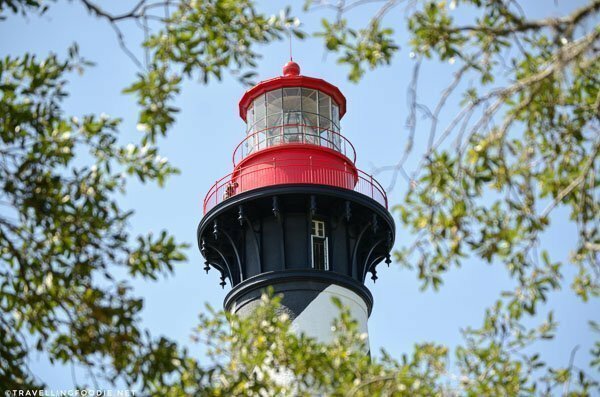 The lighthouse is one of 30 lighthouses standing in Florida, and one of just 6 that’s open to the public. 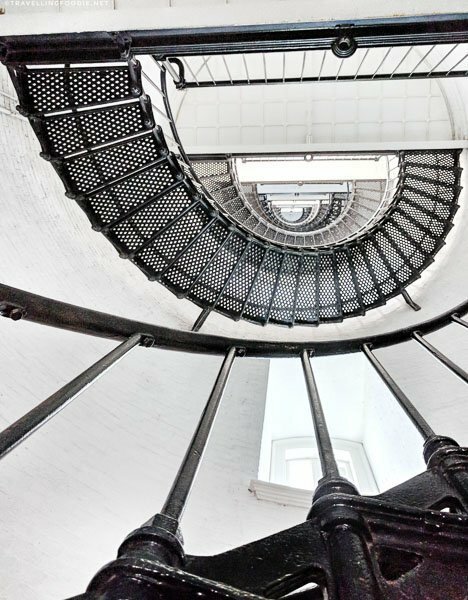 I highly recommend you to climb the 219 cast iron steps to the top of the 140-feet tall lighthouse. 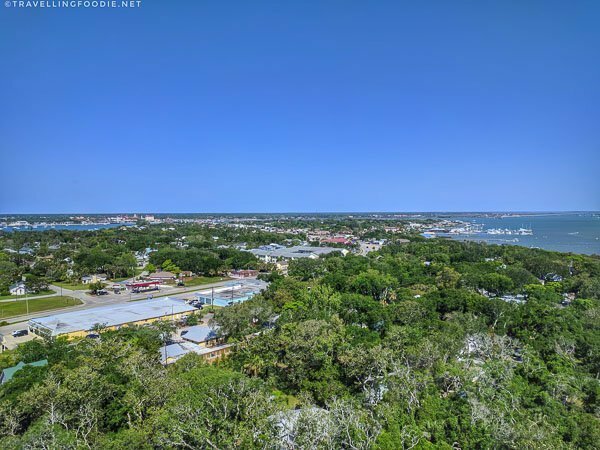 You’ll get to see some amazing panoramic views of St. Augustine, plus get a good exercise to be able to eat more for dinner! The museum has different exhibits including the keeper’s house and office across the lighthouse where you get to see tools of the trade and learn about their life at the lighthouse. Head back to the historic district for dinner inside one of the city’s oldest houses, Preserved, for some delicious Southern cuisine. This was my best meal in St. Augustine so I highly recommend checking this place out. 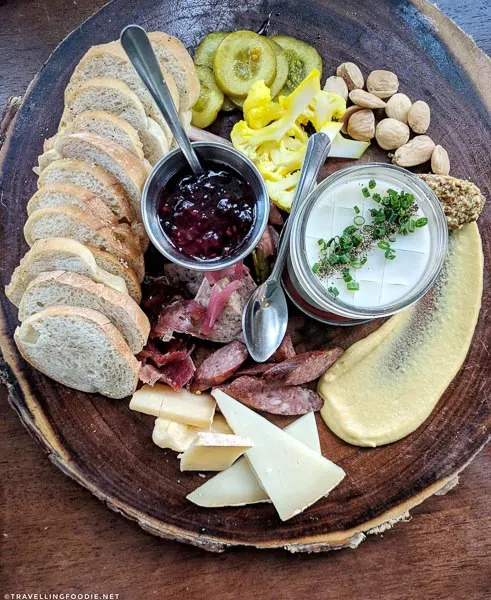 Must orders include the House Charcuterie Board and, for something Southern, the Local Caught Fish. Head to the Ghost Tours of St. Augustine Inc. by 7:45PM. Their “Ghostly Experience” Ghost Tour is award winning and have been featured by Travel Channel, Discovery Channel, and more. It’s quite a popular tour so expect a large group (15+ people). This walking tour lasts for about 75 minutes. Travelling Foodie Tip: If you’re tired from walking the entire day, they have a ghost tour using a trolley car called Ghosts & Gravestones ‘Trolley of the Doomed’. Being the oldest city brings a lot of history and with it comes death and ghost stories! I loved how our tour guide was very fun and animated in sharing the stories. I find this quite important for this type of tours where storytelling is the main driver. She also shared her own personal ghost stories which added a nice personal touch. As to whether they are true or not, you be the judge! 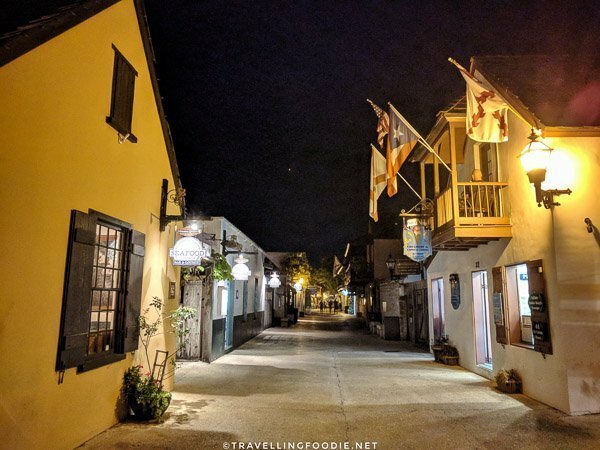 The ghost tour is a great way to explore St. Augustine’s historic district at night thru interesting ghost stories that incorporates real history. 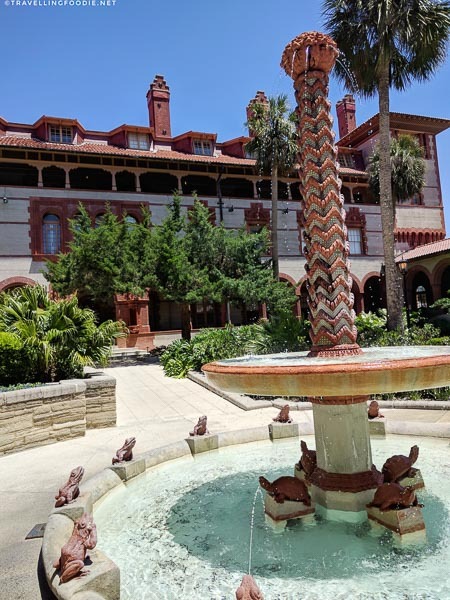 You’ll be stopping by some popular attractions like the Flagler College where Henry Flagler’s second wife Ida Alice is said to be haunting the dorm. One thing they asked us to do to capture the paranormal activity was take burst photos of the same shot with the flash on. In this way, you can see from the series of photos if a ghostly activity occurred (e.g. if the second photo shows something that the first and third photo didn’t). This was my first time doing a ghost tour so I didn’t know what to expect. I came out enjoying it as it was really entertaining. It was also good exercise to walk all over the district. You don’t need to be a believer in ghosts to appreciate this tour. The tour ends near St. George Street which you should check out after. This pedestrian-only street is bustling at night with a variety of music emanating from restaurants and taverns. Enjoying sangria while people watching in one of the taverns is a great way to end the night! 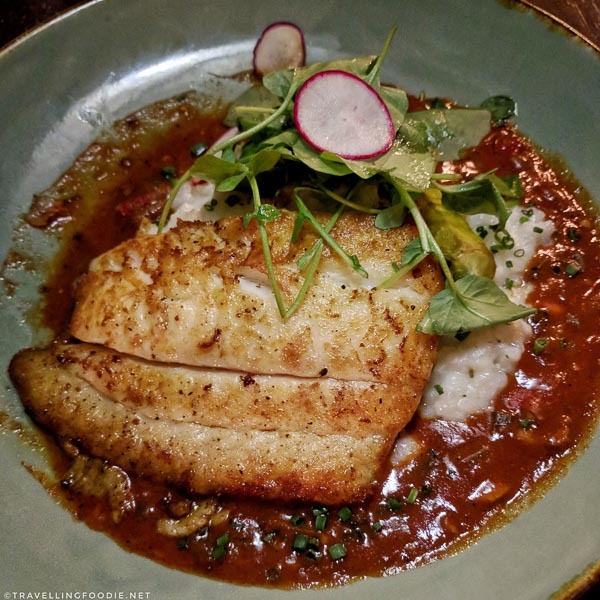 Posted on June 5, 2018 January 1, 2019 by Travelling FoodiePosted in Florida, Food, St. Augustine, Travel, USATagged activities, guides, nature, restaurants, sights and landmarks, tours. Super awesome write up about our wonderful city! 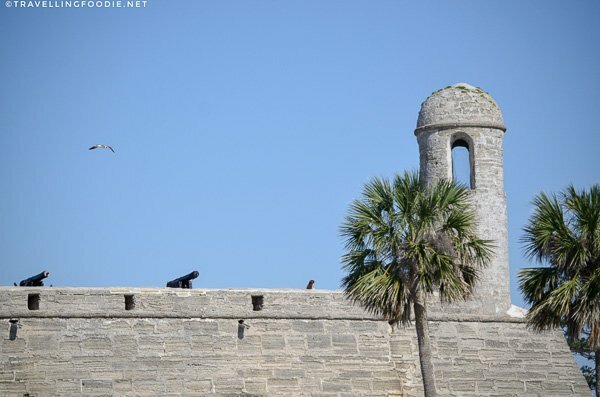 St Augustine has such a rich history and so much to see!